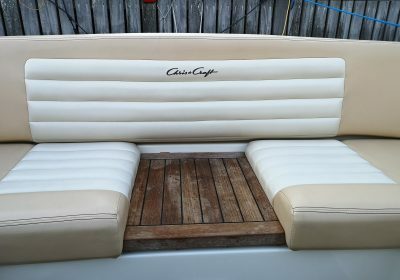 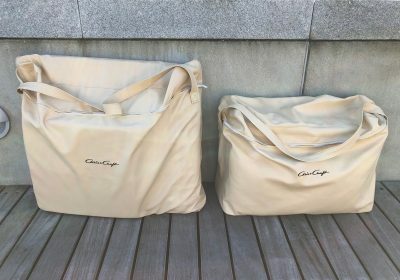 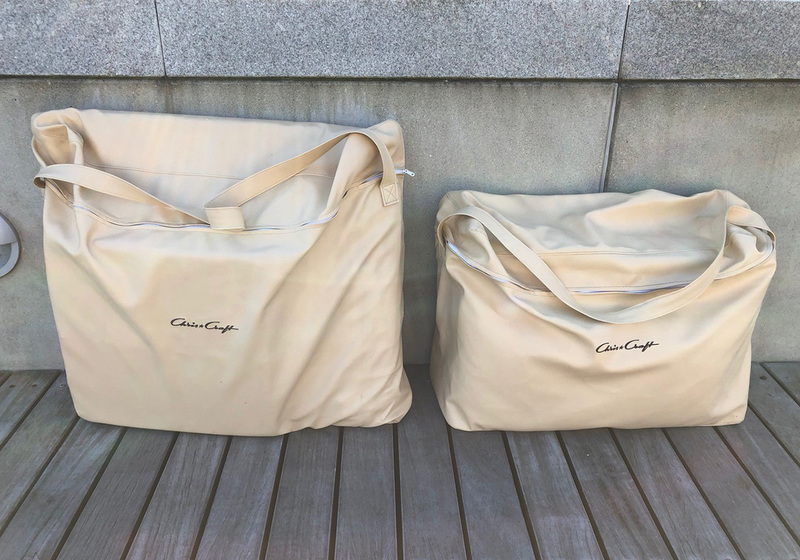 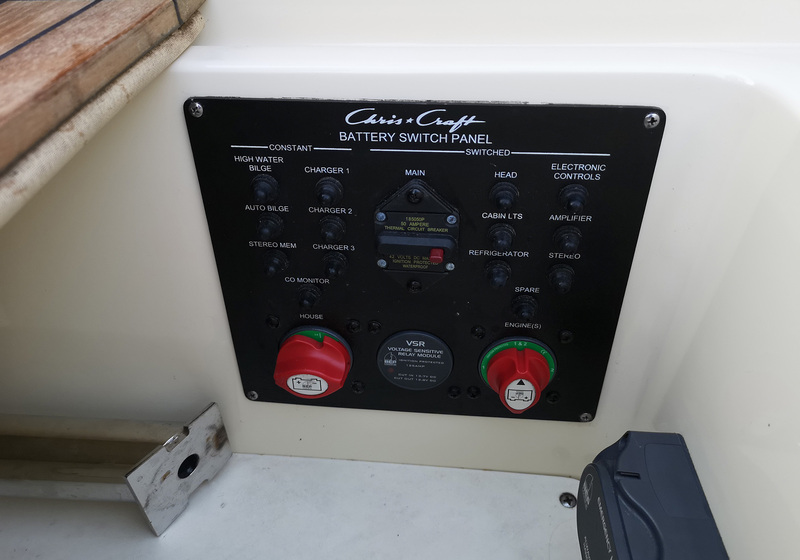 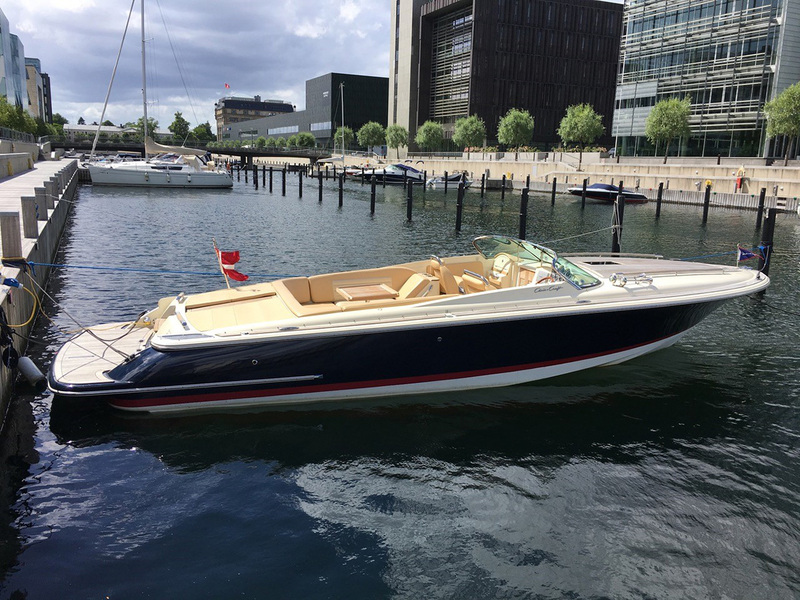 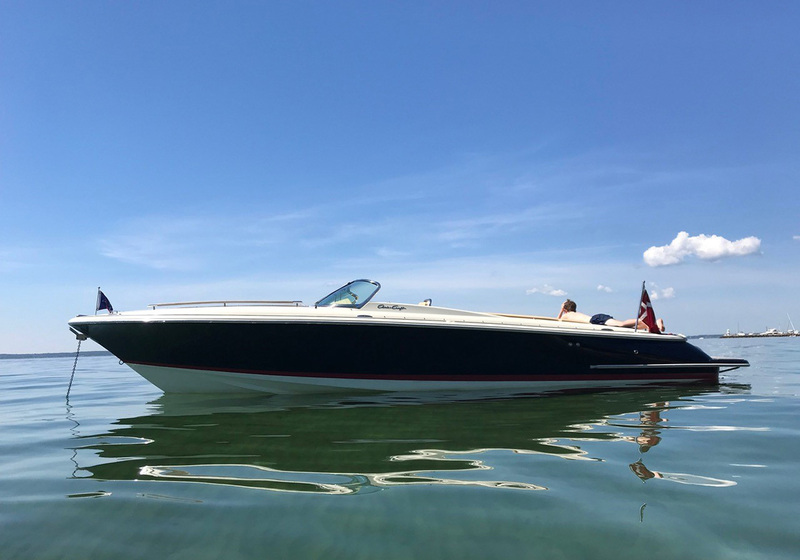 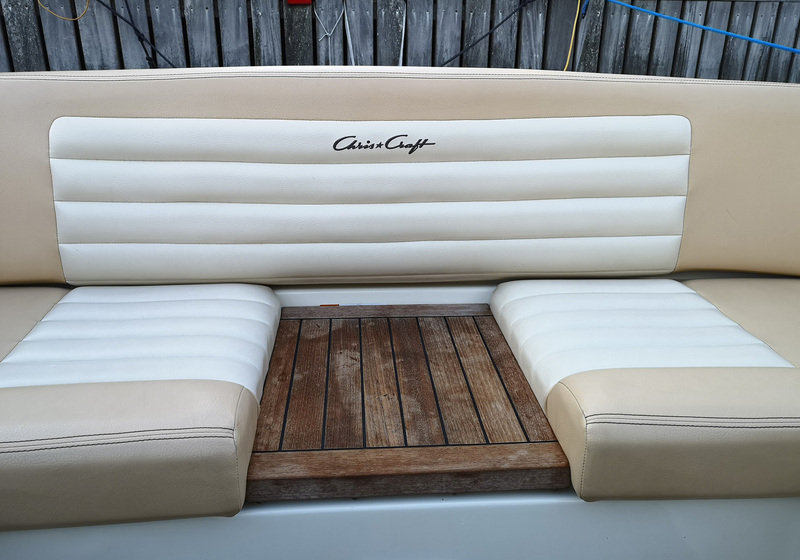 Chris Craft Corsair – Heritage Edition. 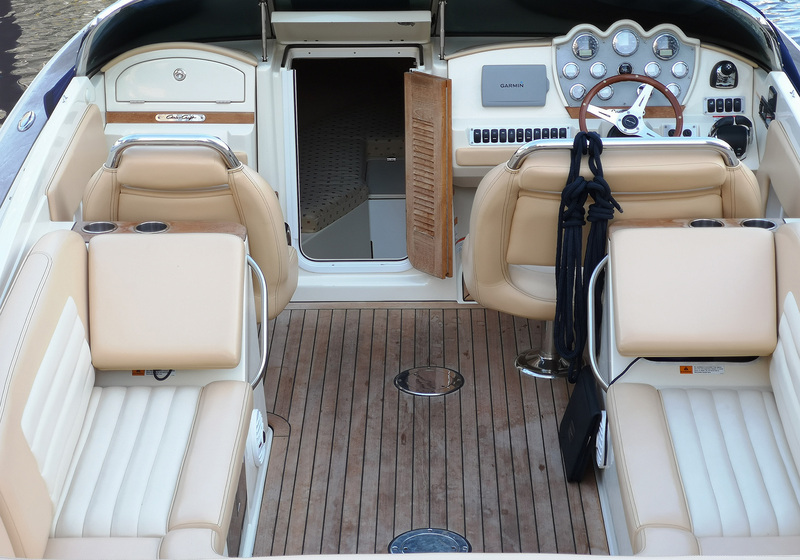 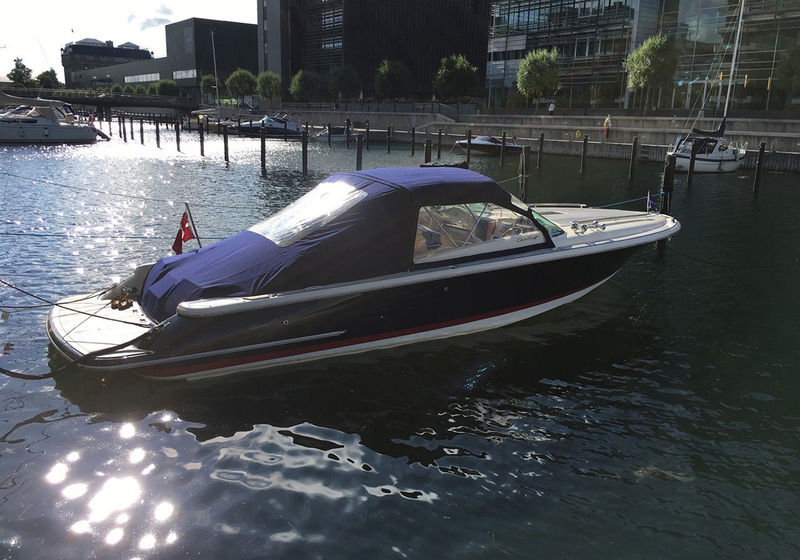 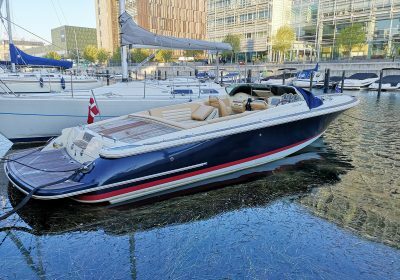 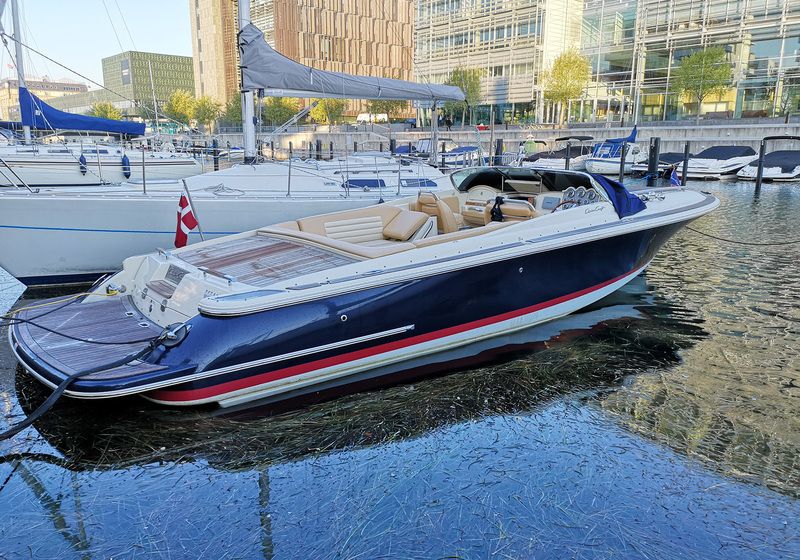 This fine and top equipped Chris Craft is very well maintained by a caring owner. Kept on land indoor every winter. 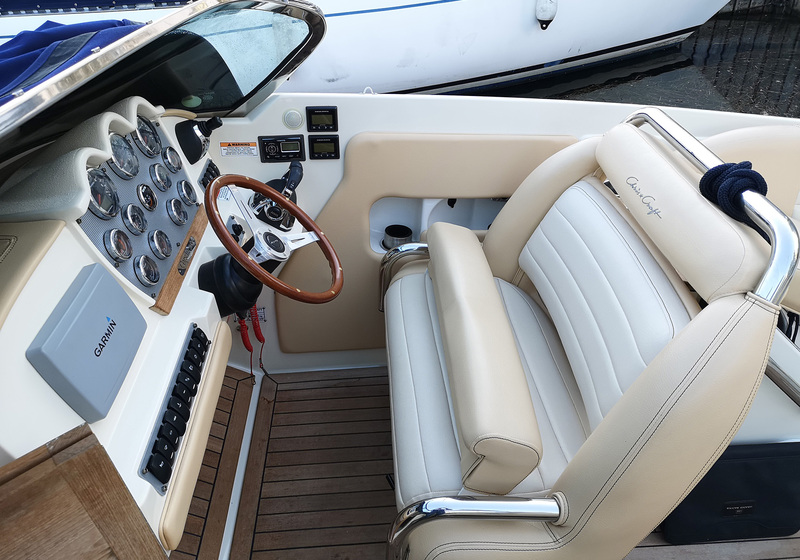 Practical seating arrangement and chaiselong arrangement in cockpit as well as sundecks for and aft. 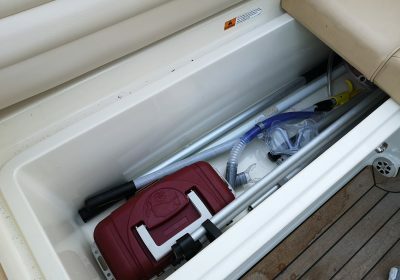 Comfortable cabin with V-berth and toilet. 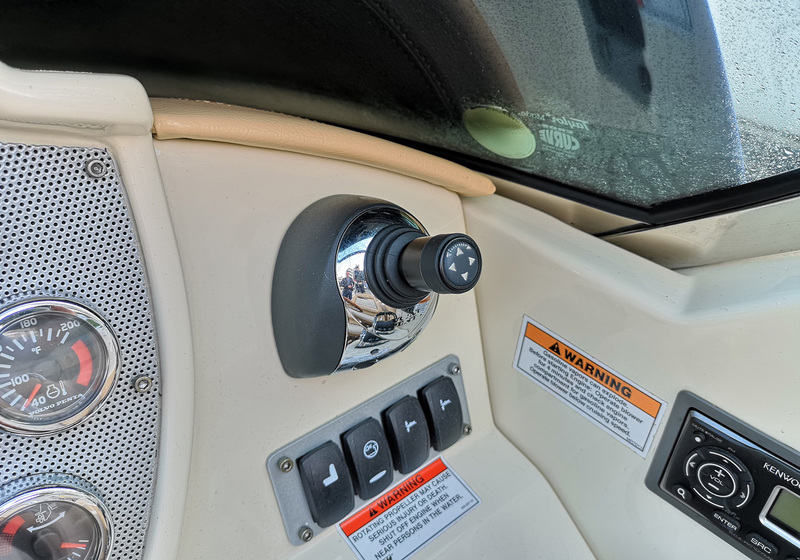 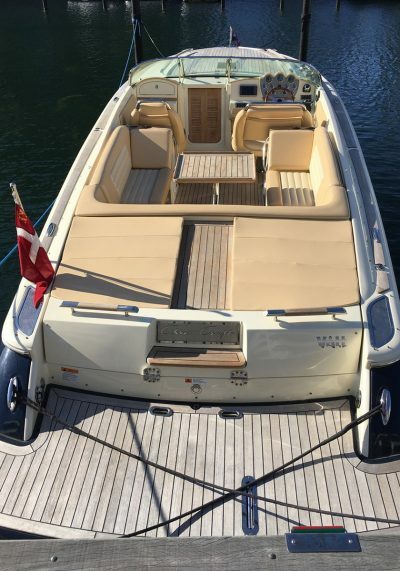 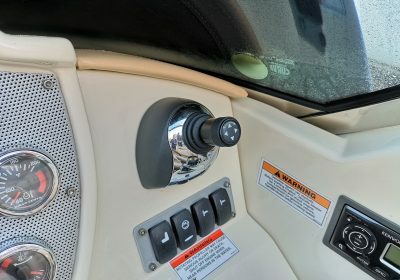 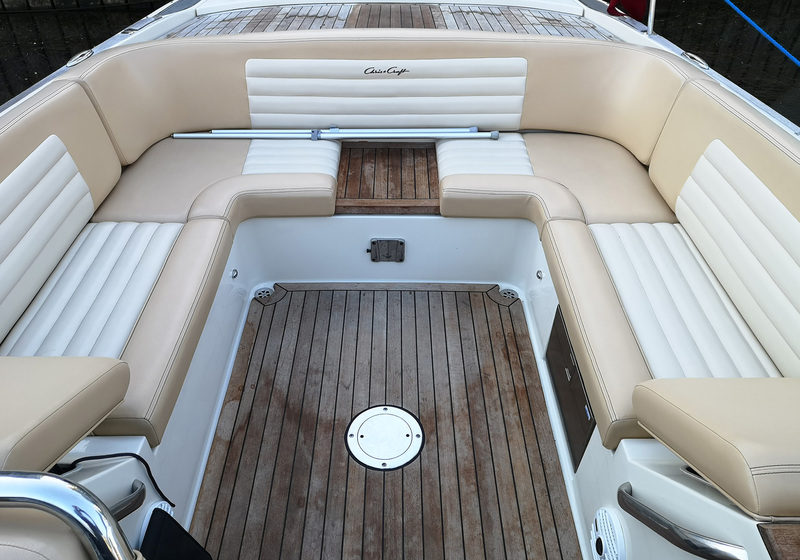 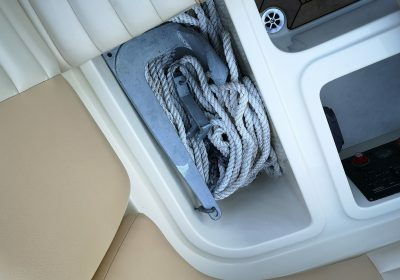 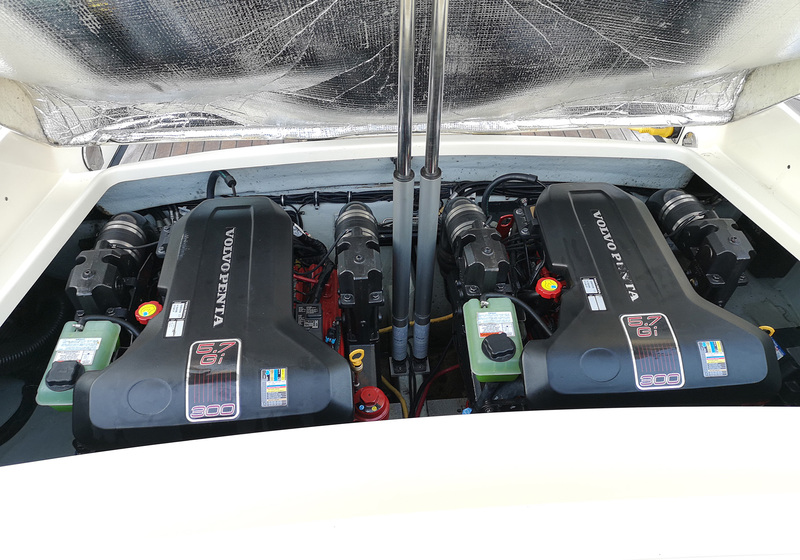 Low hours on engines (310 hrs) Full teak deck, Volvo Joystick for safe and easy handling, Ocean X sterndrives,Tecma electric Toilet, sunbed at foredeck, teaktable in cockpit, fridge in cockpit, Bimini, Cockpit canvas cover, winter cover. 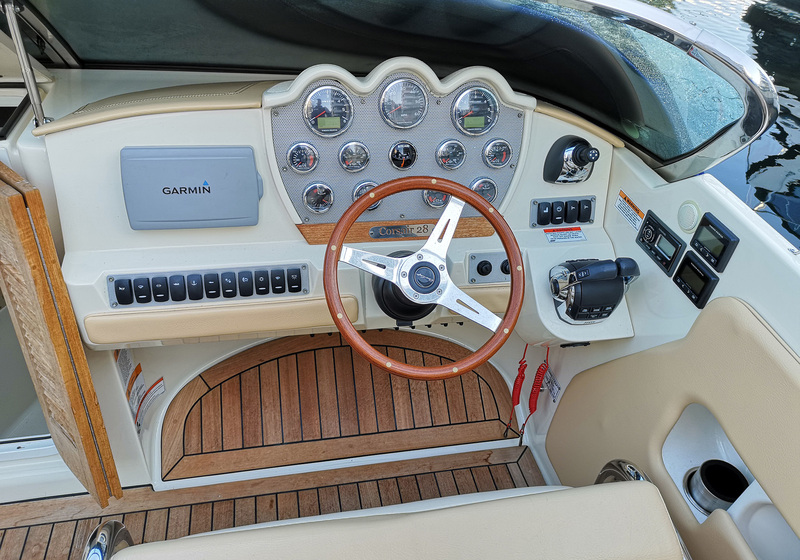 Cruising speed approx. 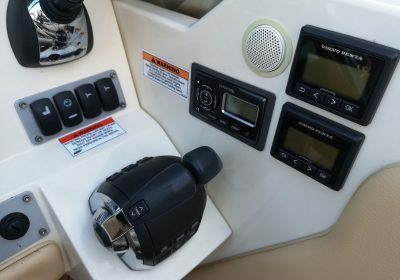 30 knots, top speed approx. 48 knots.